A section of lawyers drew flak on account of them taking an off from work for the next three days owing to the scorching heat in Calcutta. 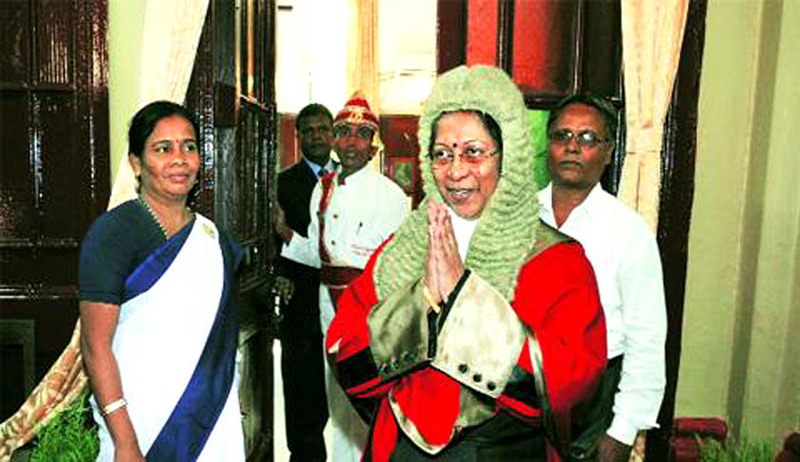 The Chief Justice of the Calcutta HC Manjula Chellur severely criticized those lawyers on Tuesday. The resolution to cease working was taken by a majority at a meeting of the Calcutta HC Bar Association the same day. It is to be noted that the CJ of the High Court has been ever insisting that the courts should function for at least 210 days in a year according to the SC guidelines. Justice Bagchi, on the other hand, questioned why the lawyers would have a problem working in the air conditioned court rooms. She observ"If the traffic policeman can continue with his duty, taxi operators can run their vehicles in the heat, drivers of other public vehicles can do so, why can't high court lawyers attend court?ed, “If the traffic policeman can continue with his duty, taxi operators can run their vehicles in the heat, drivers of other public vehicles can do so, why can't high court lawyers attend court? Lawyers in subordinate courts work in non-AC rooms. If they can work, what's the problem with high court lawyers?” The Trinamool-dominated Calcutta High Court Bar Association did not get affected by this reaction of the eminent judges. State advocate general Jayanta Mitra will attend court during the cease-work. "I will come to court. But I am not sure about court functioning," said Mitra. This is not the first time when the lawyers have abstained themselves from working that too, after defying the Chief Justice. Most lawyers had skipped court for two days in March on Holi and Dol despite the CJ's appeal to avail of one holiday instead of two. "Clients are like your Gods. They provide you your livelihood. What will you gain by making the litigants unhappy? It is the duty of the Bar to let the Bench function," the Chief Justice had told the state advocate general then. Prior to this, the CJ cited the Supreme Court's guidelines on court functioning. Lawyers had ignored the appeal. In another instance, when the CJ had urged them not to suspend court proceedings to pay tribute to a colleague after his death, the lawyers had gone into confrontation with the honourable Chief Justice. With the state government run by Mamta Banerjee taking a step to extend summer vacations of state and state-aided schools, the remarks by Justice Chellur prima facie hold good.urged them not to suspend court proceedings to pay tribute to a colleague after his death.